Yesterday a rear tease was dangled in front of us when Konatsu x K2Toy uploaded a photo of the collaboration. It seems like the two felines will be joining up for a release, mixing both artists signature cats rolled into one. 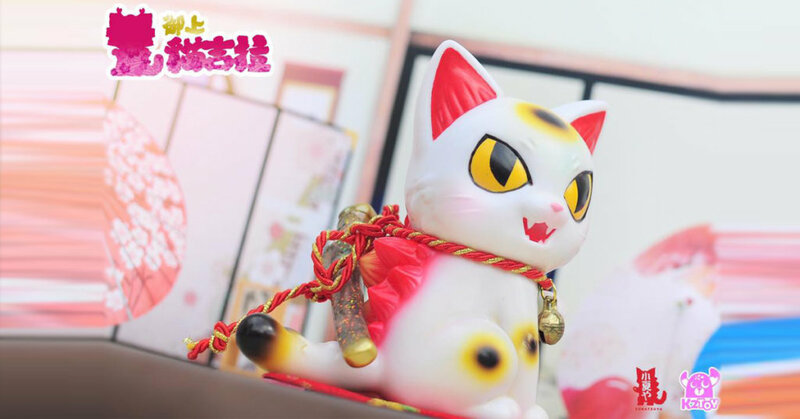 from Konatsu’s Negora, mixed with a K2Toy’s Ohonneko! hows about a samurai Negora! We predict a release will be announced pretty soon. Not much more info to go by, but as always we will keep you updated.